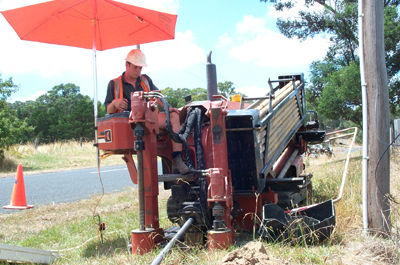 Cogar is a leader in horizontal directional drilling in Melbourne and Australia. With over three decades experience in industries such as telecommunications, gas and water, Cogar has performed horizontal directional drilling and non-destructive digging in a wide variety of different terrains and environments. Horizontal directional drilling, or HDD, is a steerable boring method for digging non-vertical spaces for pipe, conduit and cable using a drilling rig mounted on the surface. This allows for our operations to drill beneath objects that already exist on the surface, such as roads, train lines, buildings, rivers and through rugged terrain. 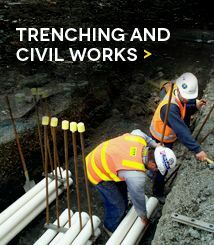 This allows for effective non-destructive digging and pipe installation with low impact on the immediate environment. 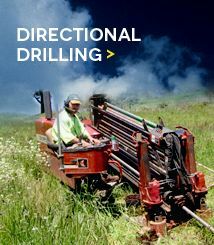 Cogar has a wide range of different drills and equipment to suit different needs. They are able to drill from 63mm up to six-way P100 duct runs as part of their drilling capabilities, with no distance too far or near. 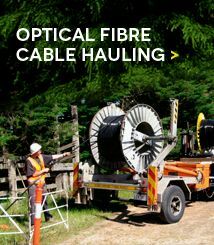 In association with Transfield, Cogar has been working on horizontal directional drilling and optic fibre cable hauling as part of the Federal Government’s National Broadband Network Scheme. 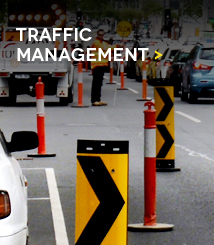 Cogar has operated directional drilling equipment and site management in many of Melbourne’s suburbs, including densely populated inner city suburbs of Brunswick and Carlton. For any further information on Cogar’s services, or to arrange a consultation on an upcoming project, please contact our Melbourne office on 03 9761 5333 or online.